Fresh, fragrant and fun. When we think of authentic Mexican cuisine these are the first three words that come to mind. 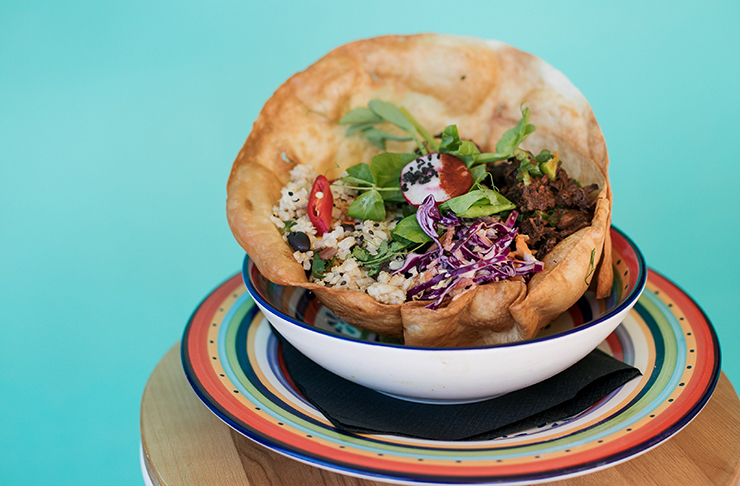 Not only is Mexican a fave of ours here on the Coast, it’s rapidly become a world-world dining movement with millions addicted to the complex and dynamic flavours. It’s colourful, spicy and sweet reminding us of that beachfront holiday in Tulum we really need to take. 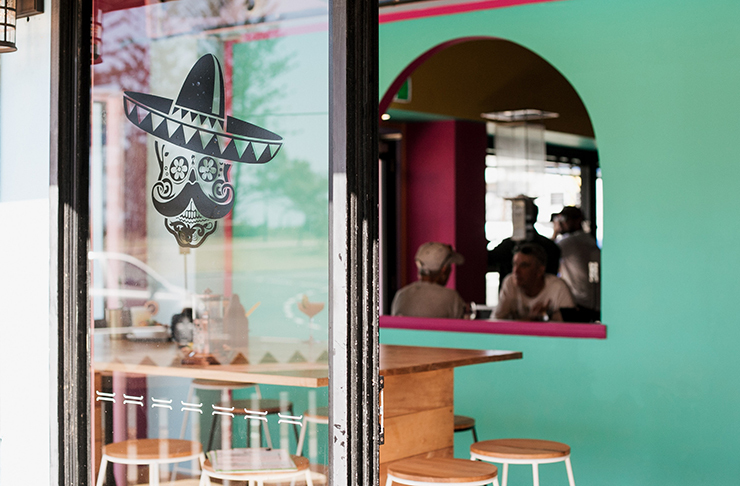 So, when we heard a brand new Mexican joint had just opened on the Coast, we decided to head on over and add some spice to our lives, immediately. Let us introduce you to Juan Fifty. A restaurant where bright colours, strong cocktails and mouth-watering dishes come to life. (TBH: They had us at Huervos Rancheros). Now, maybe you’re familiar with this spot on the bustling Alexandra Parade. It’s where perennial fave Ol’ Cactus used to call home, until new owners took over the business and Juan Fifty was born. Now something you might not know about traditional Mexican cuisine is how truly incredible their breakfast options are. Diners often immediately think of lunch and dinner options, but in our opinion an authentic Mexican breakfast is where it’s at ppl. Well, Juan Fifty is set to change all that with their incredible and daring new brekky options. Think: Chimichangas laced with spinach and ricotta, avocado tostadas, black bean and rice bowls or what about sweet corn and jalapeno fritters. And voila! All these options are the ideal way to start your day. Need we say more? We also tried our hand at The Big Juan. Yes, it was massive and yes it was delicious. Starting with two fried eggs, paired with chimichurri chorizo, charred bacon and lashings of black bean stew. It’s not a nom for the faint hearted, but we savoured every last mouthful. There are also lunch and dinner options with burrito bowls and tacos being the two preferred choices on their extensive menu. Juan Fifty head chef, Daniel Warrington offers his diners an array of 7 tacos, all with different proteins and their own flavour profile built on 4 different tortillas. And yes, they’re all made from scratch in house from Masa Harena, a traditional Mexican masa which Warrington imports to ensure authenticity. There is gluten free, vegan and vegetarian options on the menu so it’s a great place for dates and groups of people with varied tastes. Now we’ve all heard the rumours and we can confirm they are true. 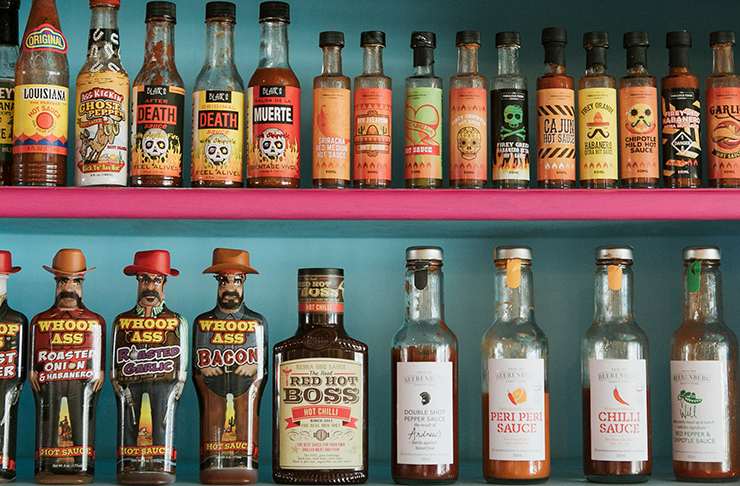 Yes, these guys even have their very own hot sauce wall to give your meal that kick. Did someone say Blair’s After Death Sauce? But if you’ve selected something slightly too spicy never fear. They’ve got an array of margaritas to cool you down. We’ve heard that the Coconut Marg is a killer sip if you’re looking for a solid recommendation. We’re feeling tipsy slash excited just thinking about all the possibilities. With food this fantastic (and addictive) we’re thrilled to also let you know that Juan Fifty is open 7 days a week giving you ample time to come for brekky and stay for lunch. We’ll see you there. Where: Open 7 days a week; Breakfast & Lunch from 6:30 am every day and for dinner Wednesday till Sunday. Love food? We've also rounded up the best Italian restaurants on the Sunshine Coast here. Fancy drinkies? 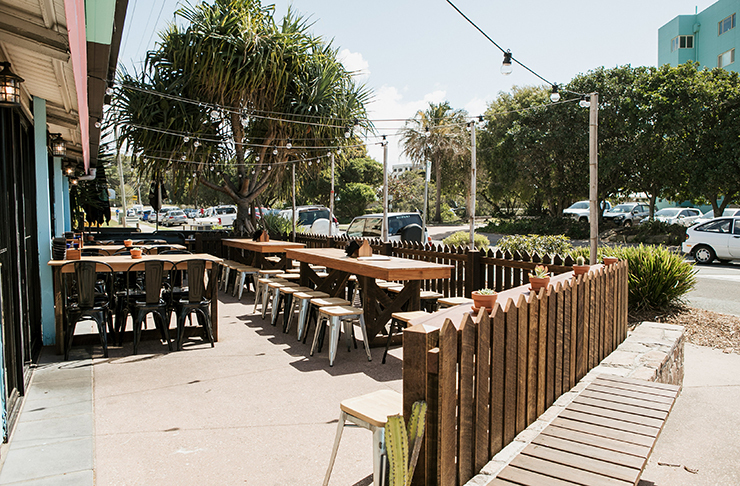 We've also rounded up the best bars on the Sunshine Coast here.